We are a family of two adults and three children who live in Trondheim, a town in Norway. The family consists of Cathrine Ludvigsen and Arild Halsen and our three children Odin, Iver and Axel. When we decided to purchase a dog Cathrine would definitely have Giant Schnauzer as she has grown up with the breed (including breeding). Arild would not have as big dog, but he thinks they were nice and friendly dogs, so the compromise was Miniature Schnauzer. 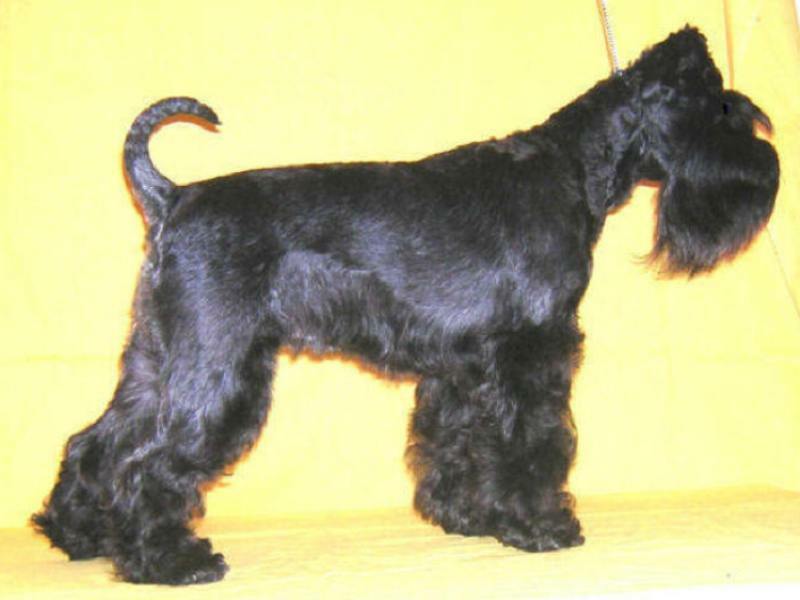 We got our first dog together in 1999 and it was a Miniature Schnauzer black. We got a significant interest in training the dog, began in obedience training and continued training there. Eventually, it became interested in agility, and when we first had tried it we found that this was the activity that suited both us and our dogs. Arild has competed and trained agility for many years at the Nidaros Brukshundklubb in Trondheim, Cathrine also began to train agility there eventually. We got an early interest in dog shows when our first dag (in 1999) went on to BEST IN SHOW (BIS puppy) in the first exhibition. We think it is very fun with grooming and exhibition, so it's possible you will see us in the showring. We noticed that there was a new color of Miniature Schnauzer and we then got interested in White Miniature Schnauzer, it was admittedly not very many of those at the time. 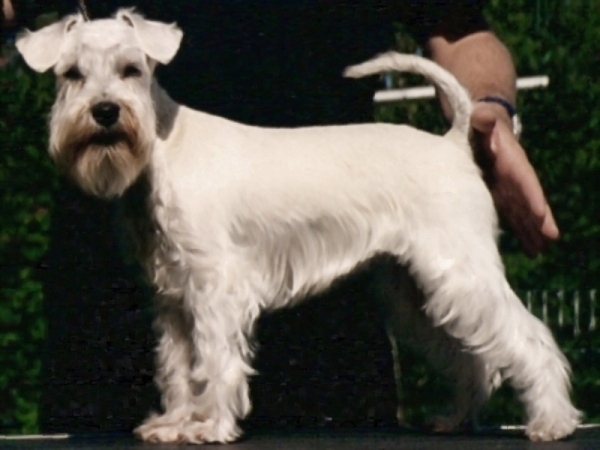 When we bought our first white puppy in 2000, N UCH Ingschnauzma's White Ally (also known as Ally), it was only 5 registered White Miniature Schnauzer here in Norway. Eventually, we were interested to try breeding too. 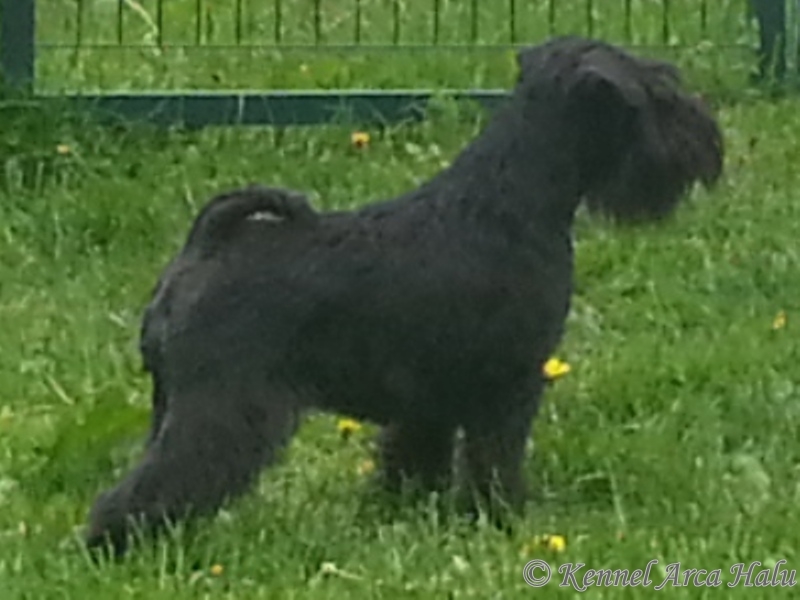 Arild has an education that includes general breeding and genetics, he has completed it up to the dogbreeding with NKK's “Genetikk, Av log Oppdrett” by Astrid Indrebø. 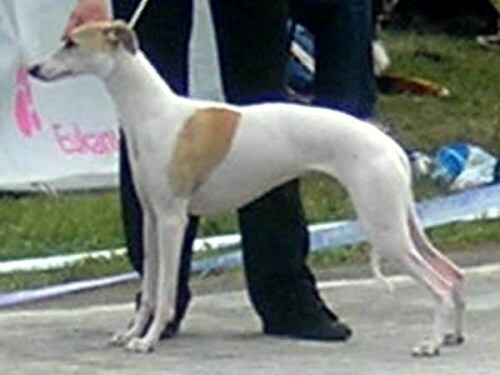 Cathrine had some experience of breeding before and she has carried Breeder school of the Norwegian Kennel Club (NKK). Application for a kennel name Arca Halu was sent in and we got it approved by the FCI in September 2002 and our first litter of White Miniature Schnauzer was born in 2003. 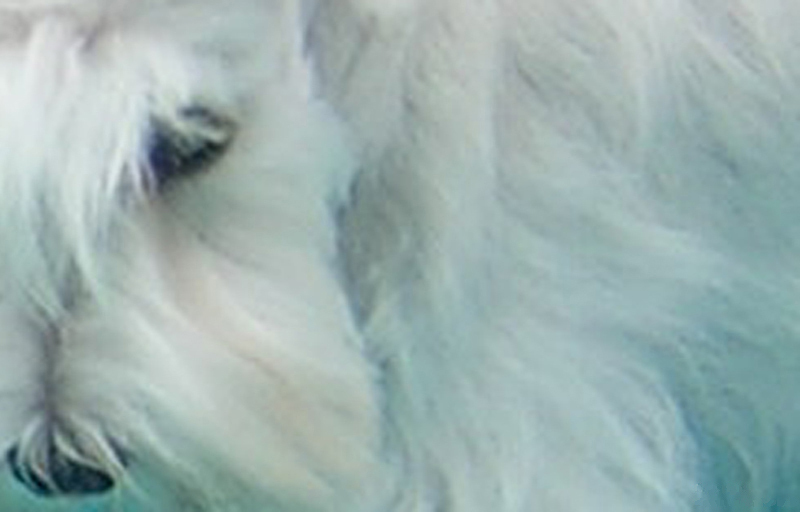 We think it's fun to be part of the foundation for White Miniature Schnauzer here in Norway. The three criteria we think are important in our breeding program are: good temperament - good health – breedtypical exterior. The three criteria are not ranked as we believe all three are equally important. Our main goal for breeding is to add something to the breed in form of wholesome, healthy and breed typical family dogs. And hope we get many good years ahead of us with breeding and training of these wonderful animals!